Richard James Frazier, 30, of Natacez, Mississippi had a substantial amount of fake weed in his car. Alabama-Coushatta Tribe of Texas Police Department Officers Makes Narcotics Arrest, ALABAMA-COUSHATTA TRIBE,July 17, 2014 - On July 16, 2014 at approximately1:00p.m.Officers D. Barnett and G. Blake working a traffic tracking project in the 17000 block of State Highway 190 East observed a vehicle traveling in excess of the posted speed limit. After making contact with the violator they observed indicators that were consistent with individuals possibly trafficking narcotics or other contraband. 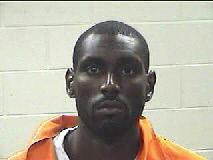 The driver (Richard James Frazier, 30, of Natacez, Mississippi) was traveling to Mississippi. Over three hundred and twenty (320) bags of a simulated substance (marijuana) weighing in excess of three hundred grams and an undisclosed amount of cash was discovered. Frazier was charged with possession with the intent to sell or distribute. The simulated substance falls under a Penalty Group 2-A: Synthetic drugs, including synthetic cannabis. Captain Jimmy Evans stated that all the department’s Officers are required to work a specified amount of time on the “Traffic Tracking Project”. He said the project was implemented in response to concerns regarding unsafe driving, equipment violations and unsafe speeds. The project requires each officer to monitor traffic conditions in a specific area during certain times during the course of their regular duty hours and is designed to increase safety and provided data. Chief Antonio L. Ford said “It is fairly common for arrest like this to occur because Officers are being diligent in their overall assessment of the individuals they come into contact with and often recognize that there is more than a traffic infraction being committed".